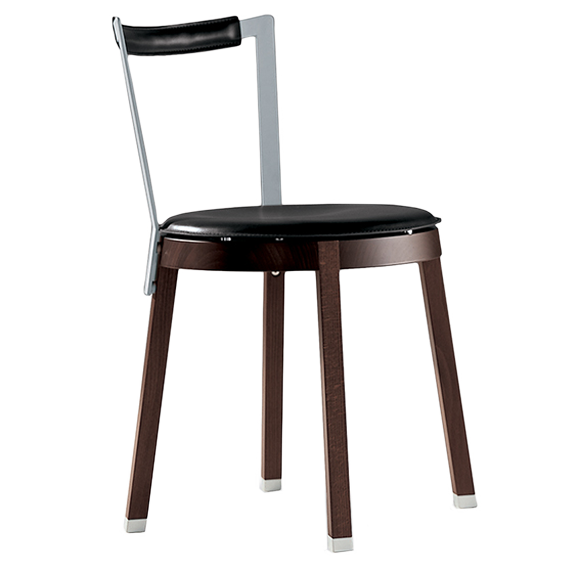 Wide range of chairs in wood with parts in stainless steel. Aluminium glides with felt or plastic. 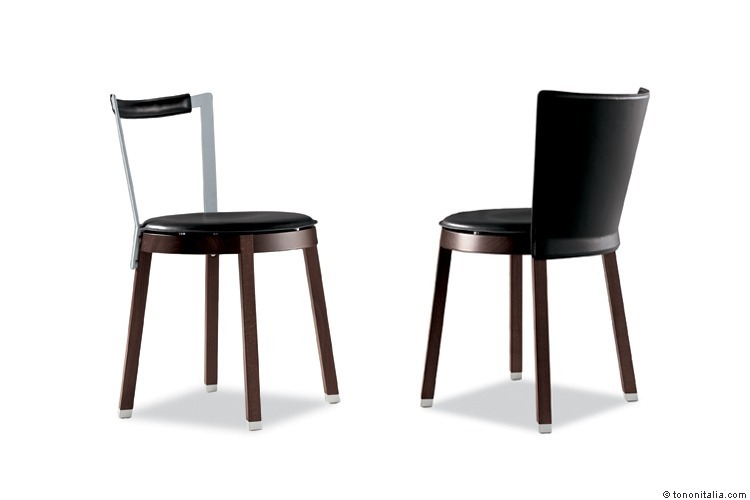 Upholstery in fabric, leather or hide. 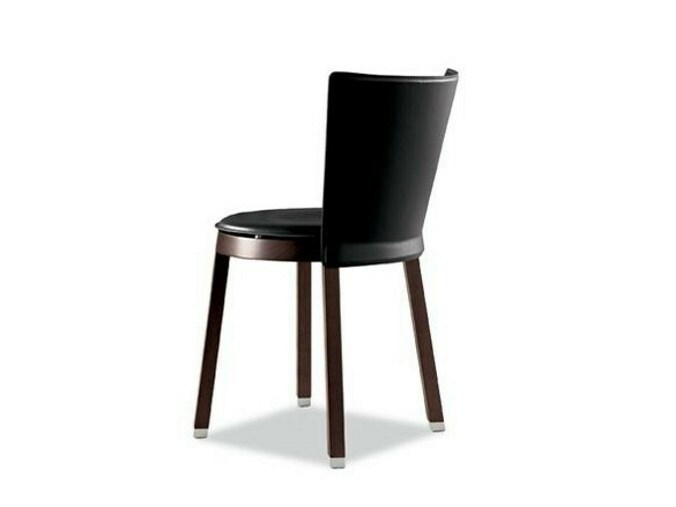 290.01 Solid European Beech frame with satin stainless steel back; available only with seat and back upholstered in hide. 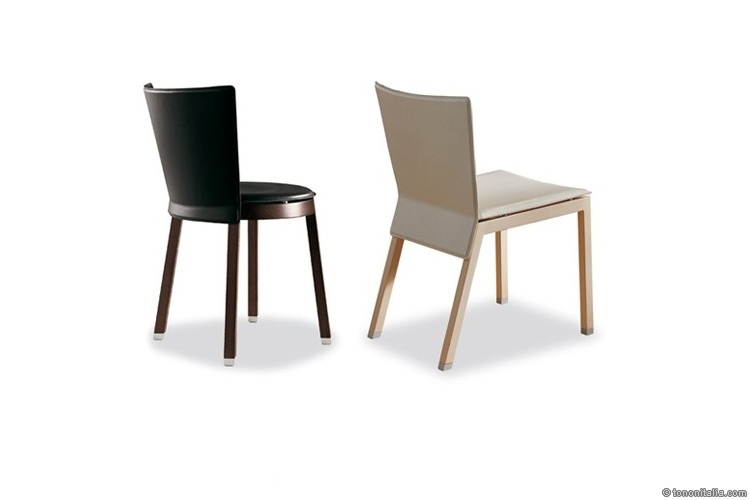 290.02 Solid European Beech frame with Beech ply back; available with upholstery in fabric, leather and hide. 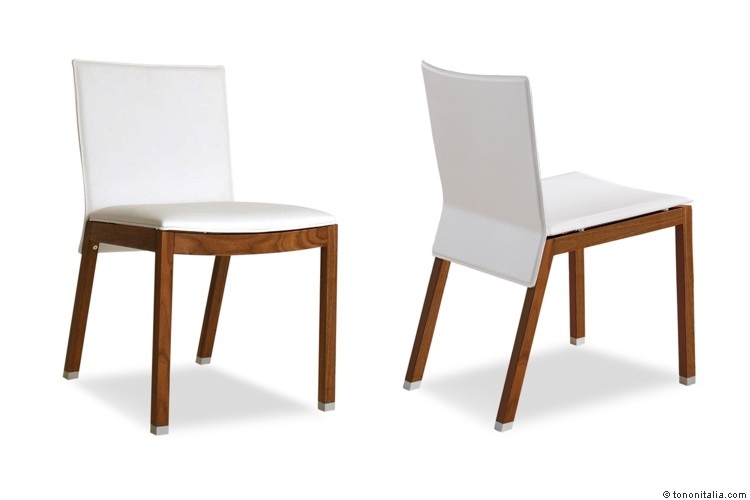 290.11 Solid European Beech frame with Beech ply back; available with upholstery in fabric, leather and hide.